Reid Early Childhood Centre (RECC) is a community based, not-for-profit long day care centre offering full-time and part-time care for children from 6 weeks to school age. We offer each child in our care a nurturing and safe environment where they can learn, develop, experiment, investigate, problem solve and build trusting relationships. We are located at the Canberra Institute of Technology (CIT) campus in the leafy suburb of Reid – close to both the city and Russell – and have been providing quality child care to the Canberra community since 1994. We have four rooms in our Centre. We also have a large outdoor learning space with well-established trees, a vegetable patch, a worm farm, two large sandpits, a bike track and climbing equipment. 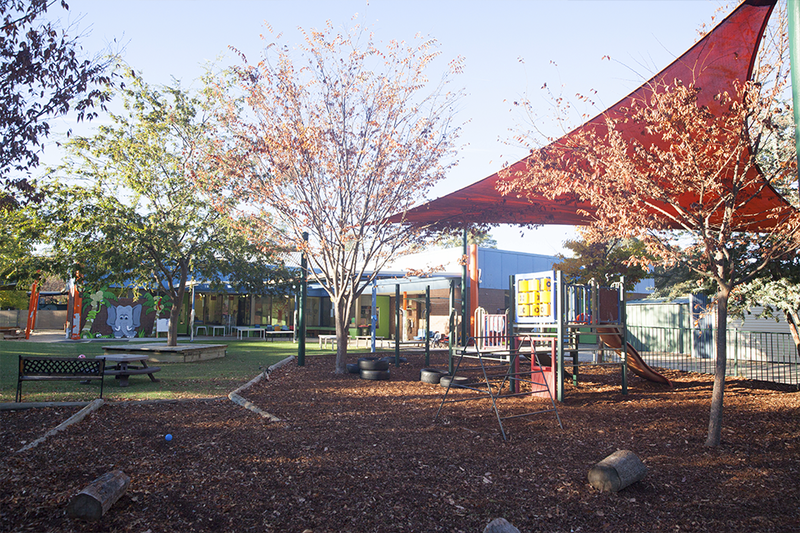 Reid Early Childhood Centre offers a culturally diverse and an inclusive environment for all children and their families. We provide rich, dynamic educational programs to children that are grounded in the Early Years Learning Framework, best practice and theory, and guided by the National Quality Standards. Our educators are passionate and qualified. We are an approved provider for the purposes of Child Care Benefit (CCB) and Child Care Rebate (CCR). We partnered with the Healthy Eating Hub to develop a daily menu of four nutritious meals and a late afternoon snack. All meals are prepared on premises by our cook. Children participate in weekly activities, including song & dance, yoga, storytelling and puppetry. We have regular incursions and excursions – check out our Noticeboard to see what we’ve been up to recently. Our large natural outdoor play area has a beautiful tree canopy. All parents and carers are invited to get involved in our community through the Management Committee and other initiatives.